We are a leading Manufacturer of water fountain and swimming lifeguard ring from Ghaziabad, India. 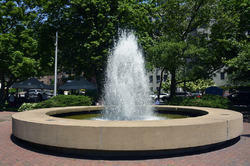 We are the leading supplier of Water Fountain made available to our clients at competitive prices. We are the leading supplier ofSwimming Lifeguard Ringmade available to our clients at competitive prices.